Pre-fall is a fun time in fashion. We have the chance to mix styles and fabrics from two seasons to create temperature appropriate outfits while living out those last few moments of summer. 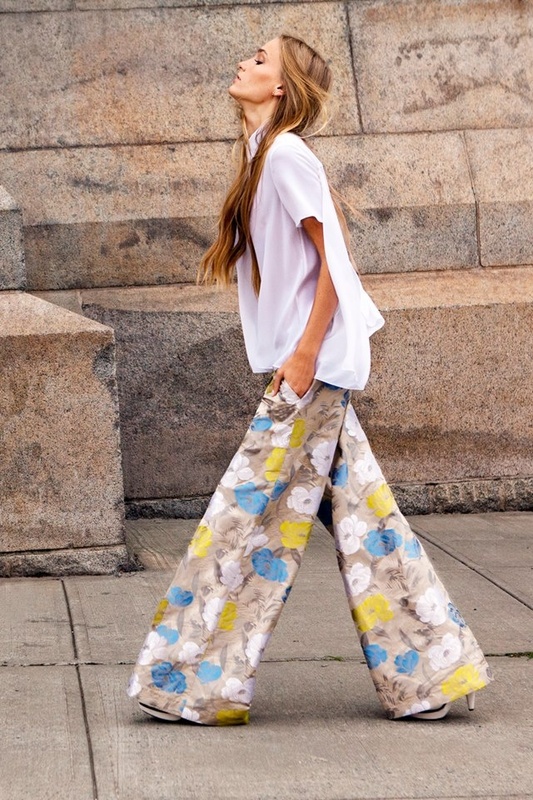 Playing with patterns is a fun way to transition summer into the fall, and patterned trousers make such a statement. We’ve seen a lot of patterned two-pieces and power suits, but those matching sets can also be worn on their own for more versatility. Bold patterns are coming in hotter than ever, and for those of us who like to have fun with our outfits, now is no better time to channel your inner Harry Styles. 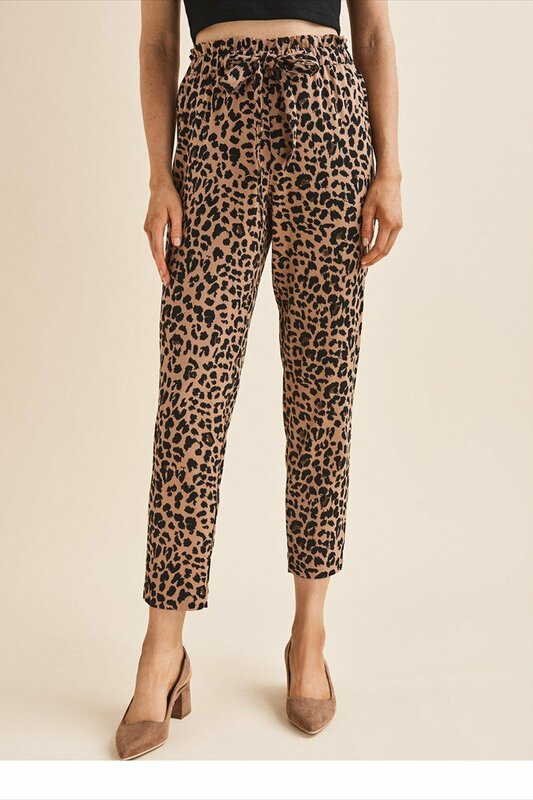 If you’re looking for a pair of fun statement bottoms to spruce up your wardrobe look no further than our pattern trouser picks! 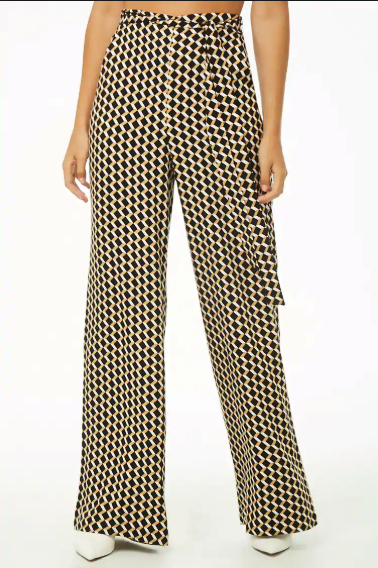 Patterns don’t have to be loud, they can be subtle and classic like these houndstooth trousers from Club Monaco. We love their high waist, cropped cut and wide-ish fit, making them a perfect choice for the office, or weekends strolling through the city. 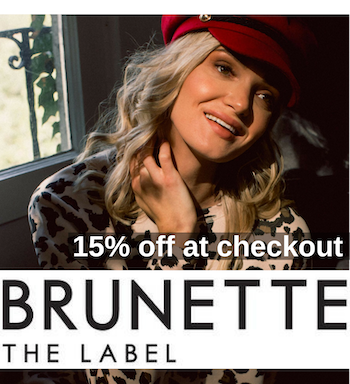 Pair these with your favourite blouse for during the week, or band t-shirt while off duty! Calling all those who aren’t afraid to make a statement, these pants have your name all over them! 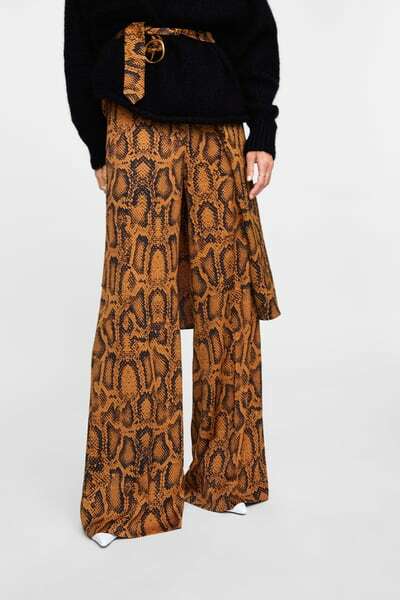 This high waisted palazzo style pant is a fun snake print in warmer tones perfect for the fall. Although they are a little thinner in material, throw a pair of warm tights underneath to wear them through the winter too! When it comes to patterns, we love a good geo print. What is usually a big hit during the summer, can also be scaled down and transition into the fall for a 1960’s revival vibe. We love pairing geo prints with solid colours within the pattern to keep the look from getting too busy. Add a pair of white boots to let out your inner mod child! 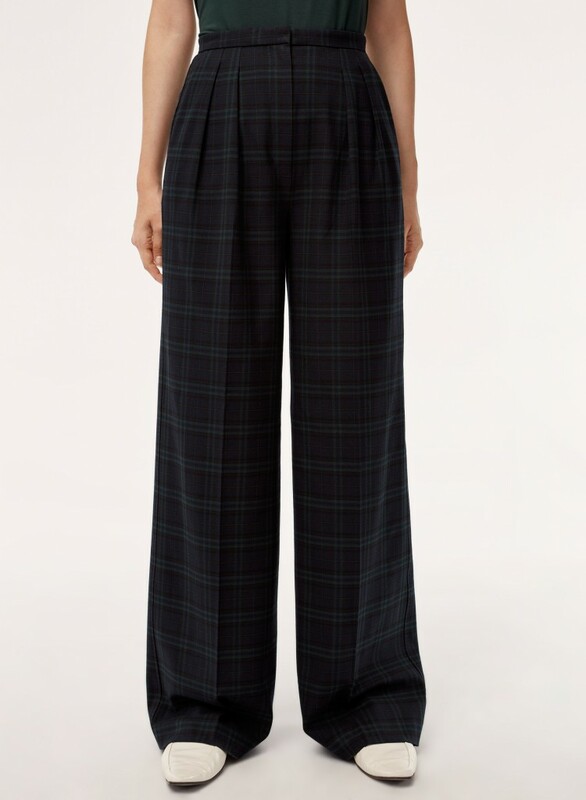 Moving forward a decade with trends, are these Babaton wide-legged wool trousers in tartan. 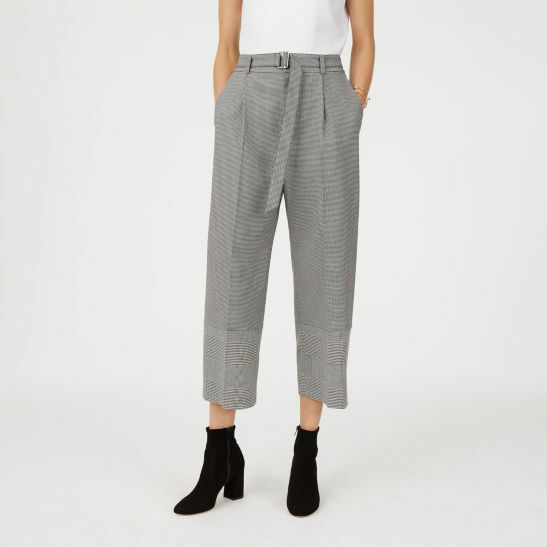 These 70’s inspired trousers come in this navy Tartan, a grey Glencheck and a brown Houndstooth all serving us a bit of a Veronica Corningstone look. We are sure these are a pair of pants you’ll want to take from the office to brunch! Another animal print taking center stage is leopard and we honestly couldn’t be happier. We’re a huge fan of paperbag pants, and we love the front tie and pleated waist of these Dynamite ones. These are another pair of pants you’ll want to wear not only on weekdays but maybe evenings and probably even weekends.